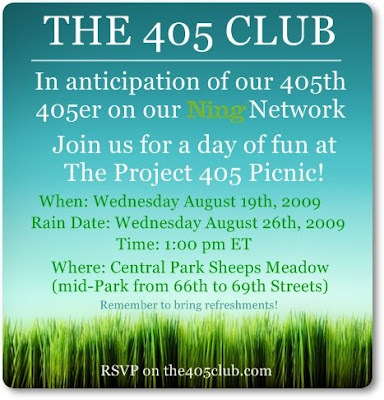 Next Wednesday, the 405 Club is hosting a picnic for the unemployed of New York. It's BYOEverything, but a chance to get out there and introduce yourself to some other unemployed people and network a bit. Your MatchGirl is probably going ... will you? And be sure to check out The 405 Club. Thanks! We should have some food catered by http://uptowncomfort.com, but definitely bring some for yourself to make sure you eat and drink!